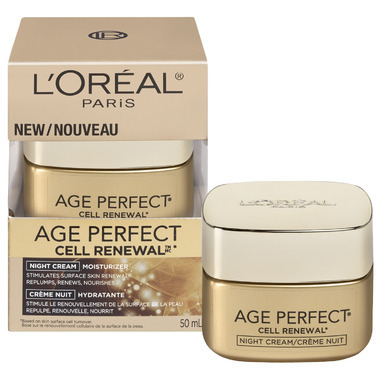 L'Oreal Age Perfect Cell Renewal Night Cream Moisturizer stimulates surface skin renewal, revealing millions of new cells for every day. So your skin looks replumped, refreshed, as if renewed. Instantly: skin looks nourished through hydration and supple. In 1 month: skin appears firmer, bouncier. Skin appears more dense, younger.